Being the adult is sometimes more aggravating than the literature suggested. I think we were supposed to be able to stay up as late as we want and eat whatever we want and no one can tell us we can't. Life was supposed to be carefree and full of nonstop fun right? I think there were supposed to be flying cars. What adult life actually is, is best summed up by Steve Martin in PARENTHOOD. "My whole life is have to." 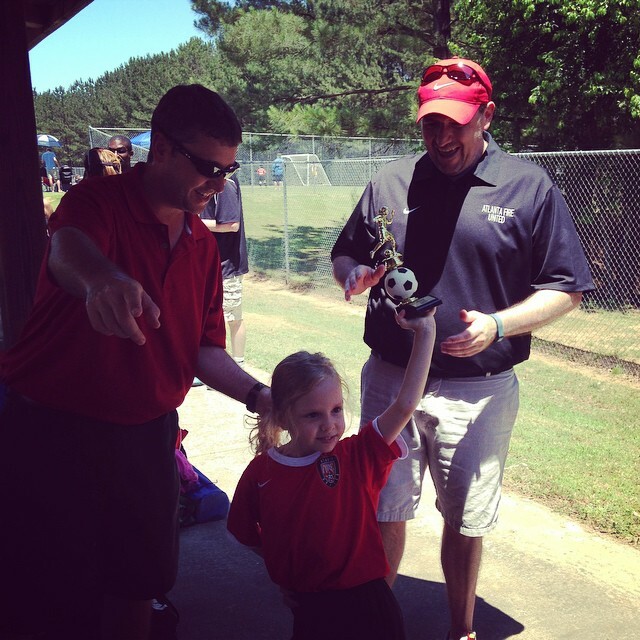 Yesterday my sweet girl had her last soccer game. She was the TEAM CAPTAIN. She was ecstatic. 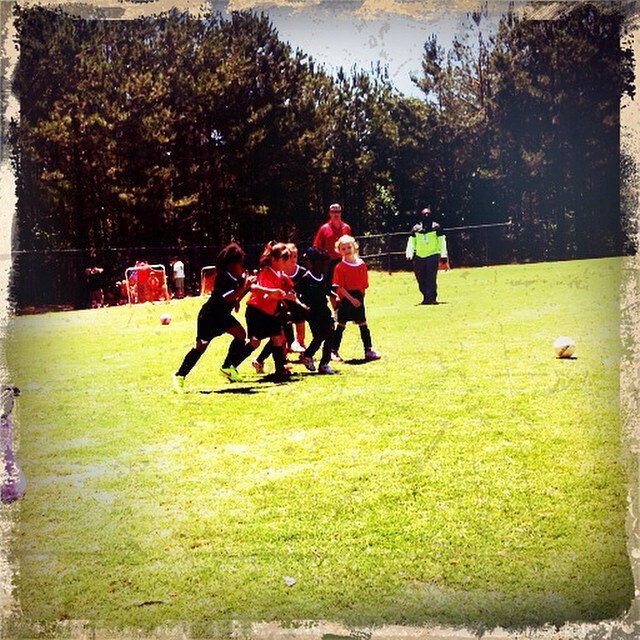 The girl who will volunteer to sit out whenever they will let her played three straight quarters, and even tried to play a few times (she's still more enamored of running around a field with a bunch of little girls than playing soccer). Afterward was the requisite team party and little trophies for participating. I smiled and cheered. Inside I was a ball of stress. You see, my dad might be dying. When he had a heart attack, it wasn't surprising. He's been over 300 pounds most of my life, and if I'm honest has horrendous eating habits. A heart attack for my dad seemed like the normal course of events quite frankly. It's not that I wouldn't grieve and be sad, it's just that - I've been mentally ready for this for 30 years at least. He had a massive bypass surgery and he lived. He recovered. He went to rehab, but then moved into a care facility because his dementia is creeping up and he needs more help than my mom can give him. However, things were going pretty ok. I'd call him a few times a week, on my way to the airport when flying out, from a far away place and tell him all about it, from work, just wherever and my dad and I would talk. Sometime's he be confused and we'd talk about things from a long time ago. Sometimes though, he'd be himself and it was kind of wonderful. 3 days ago my brother and SIL texted me that dad was being taken to the hospital and he was unresponsive. He had sepsis. It wasn't good. Two days ago he started telling us he was dying and telling us who he would like us to tell, including his parents who he told me he hadn't seen in 20 years. They're dead. 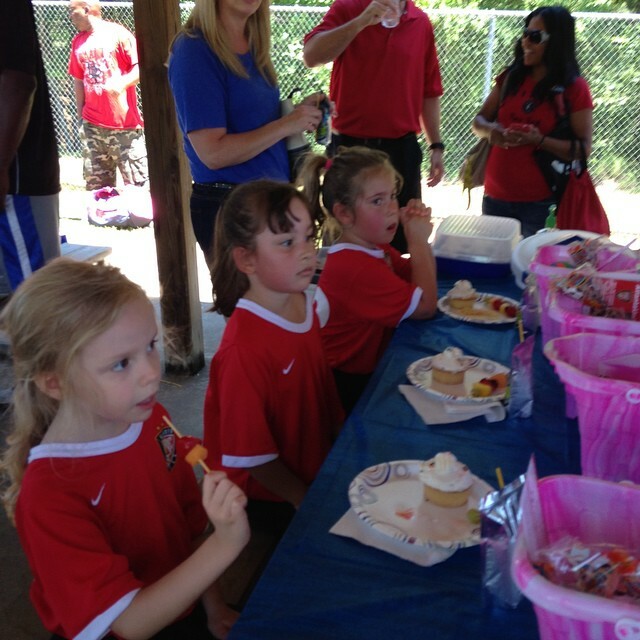 This was turning and turning and turning in my brain, watching my girl play, watching her eat her treats excitedly. There were treats for the twins too, who liked the fruit kabobs best. When you're the adult, you have to smile and cheer and take pics like a good mom (or dad) while your heart is splitting apart because someone you love is suffering and you can't fix it. Worse than that, the experts aren't sure they can fix it either. My brother and SIL are manning the ship, having the conversations with doctors and nurses and talking about what we'll do after he recovers/if he recovers. I want to shake my dad and say GET BETTER MATT IS GOING TO MAKE SURE YOU ARE IN A NICER PLACE. But honestly he can't. I sit at a distance and worry, and cry intermittently when I remember something wonderful. I worry so much that I forget everything I hate about him. You learn who cares and who doesn't when crappy things happen, and you learn how strong you are and how strong you aren't. And you keep moving, drinking coffee, putting on foot in front of the other and going on. Because this is how life works. As we walked to the car Julia gushed over the goodie bag/bucket she got as a gift. "It even comes with a FREE SHOVEL MOM!"